This paper critiques the so-called “Green Revolution” as a political myth of averted famine. A “political myth,” among other functions, reflects a narrative structure that characterizes understandings of causality between policy action and outcome. As such, the details of a particular political myth elevate certain policy options (and families of policy options) over others. One important narrative strand of the political myths of the Green Revolution is a story of averted famine: in the 1950s and 1960s, scientists predicted a global crisis to emerge in the 1970s and beyond, created by a rapidly growing global population that would cause global famine as food supplies would not keep up with demand. The narrative posits that an intense period of technological innovation in agricultural productivity led to increasing crop yields which led to more food being produced, and the predicted crisis thus being averted. The fact that the world did not experience a global famine in the 1970s is cited as evidence in support of the narrative. Political myths need not necessarily be supported by evidence, but to the extent that they shape understandings of cause and effect in policymaking, political myths which are not grounded in evidence risk misleading policymakers and the public. 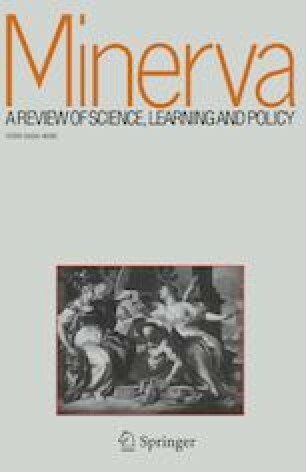 We argue a political myth of the Green Revolution focused on averted famine is not well grounded in evidence and thus has potential to mislead to the extent it guides thinking and action related to technological innovation. We recommend an alternative narrative: The Green Evolution, in which sustainable improvements in agricultural productivity did not necessarily avert a global famine, but nonetheless profoundly shaped the modern world. More broadly, we argue that one of the key functions of the practice of technology assessment is to critique and to help create the political myths that preserve an evidence-grounded basis for connecting the cause and effect of policy action and practical outcomes. This paper had an usually long gestation period and we are thankful to many for patience in its completion. We are very grateful to Linköping University for supporting an extended faculty visit of RP and to CIRES at the University of Colorado for supporting an extended faculty visit of B-OL. No other funding supported this work. The paper has been improved by the comments of numerous colleagues over the past years. An earlier version of this analysis was presented as a keynote lecture at the 2015 PACITA conference in Berlin. The paper is also a deliverable within the Mistra Geopolitics Research Programme: Sustainable development in a changing geopolitical era (Mistra DIA 2016/11 #5). The authors declare no conflicts of interest. Gaud, William. S. 1968. The Green Revolution: Accomplishments and Apprehensions. The Society for International Development, Washington, DC March 8, 1968. http://www.agbioworld.org/biotech-info/topics/borlaug/borlaug-green.html. Accessed 1 Nov 2013. FAO and WFP (2018). Monitoring food security in countries with conflict situations. A joint FAO/WFP update for the United Nations Security Council. United Nations Agricultural Programme and the World Food Programme. Issue 3. http://www.fao.org/3/I8386EN/i8386en.pdf. Accessed 15 Dec 2018. Hasell, Joe, and Max Roser. 2017. Famines. Published online at OurWorldInData.org. Retrieved from: https://ourworldindata.org/famines/. Accessed 15 Jan 2018.